New united asia is a nation led by General Secretary Unknown exiled on the continent of Asia. New united asia's government is a Communist Dictatorship with very moderate social policies. Economically, New united asia favors moderate policies. The official currency of New united asia is the Dollar. At 3 days old, New united asia is a new nation. 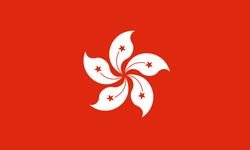 New united asia has a population of 147,061 and a land area of 2,250.00 sq. miles. This gives it a national average population density of 65.36. Pollution in the nation is everywhere. The citizens' faith in the government is at an all-time high with an approval rating of 100%. 04/20 02:46 am - James Mallister removed unknown exiled from the alliance Banca Vaticana. 04/17 04:42 pm - new united asia was embargoed by Mesatopia. 04/17 03:32 pm - founded a new city, macou. 04/17 03:30 pm - new united asia declared war on Godville for the reason of "global revolution". 04/17 02:13 pm - new united asia applied to join the alliance Banca Vaticana. 04/17 02:12 pm - new united asia was created!